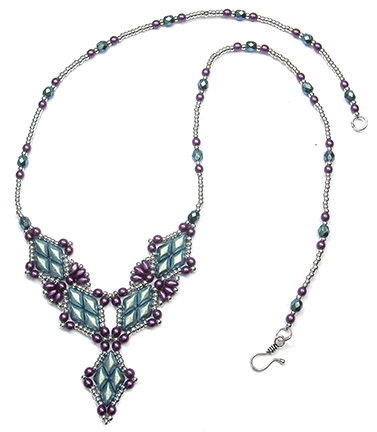 Use size 11/0 seed beads, 3mm beads and two-hole diamond beads (DiamonDuo or GemDuo beads) to make this pretty necklace that matches my Solitaire Bracelets and Solitaire Earrings patterns. 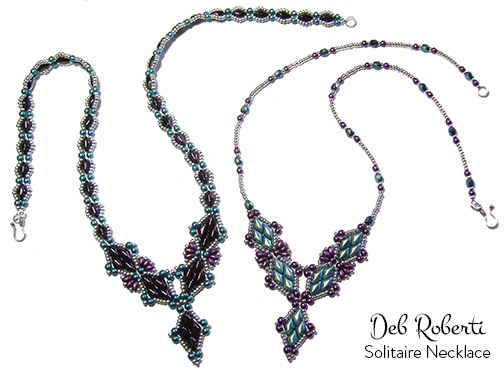 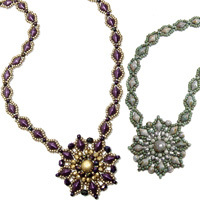 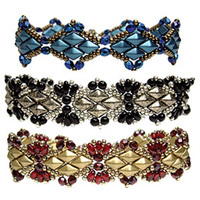 Full directions provided for creating a necklace with DiamonDuo/GemDuo side straps (left) and substitution steps for creating much simpler side straps (right) using seed beads, 3mm and 4mm beads instead. 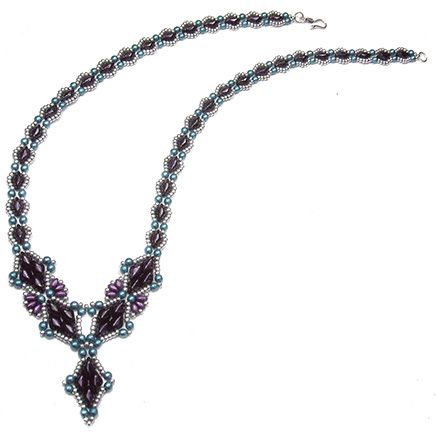 Beads Used: Size 11 seed beads (Miyuki brand rocaille preferred), 3mm beads (round beads and fire-polished beads work best), any size 4mm beads, two-hole diamond beads (DiamonDuo or GemDuo beads) and MiniDuo beads.